It’s funny how time seems to pass so quickly as you get older. With the start of 2017 I couldn’t believe how the last year had flown by. And then January disappeared in a flash. Speaking of time flying by, WordPress recently sent me a ”Happy 3rd Birthday” message. It reminded me how far Feast Wisely has come since early 2014. Almost 200 posts on I’m marking the occasion by updating one of my very first posts. 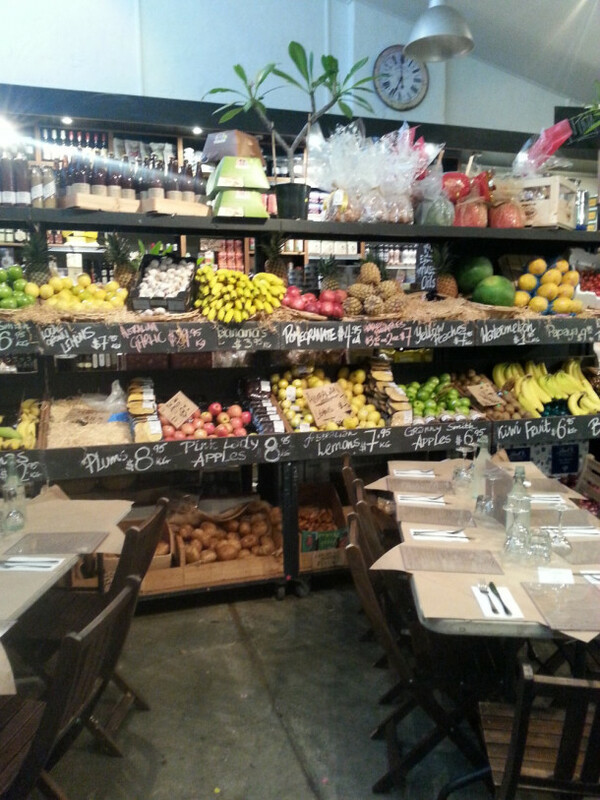 Here I’m sharing with you the Italian delights at Fourth Village Providore. 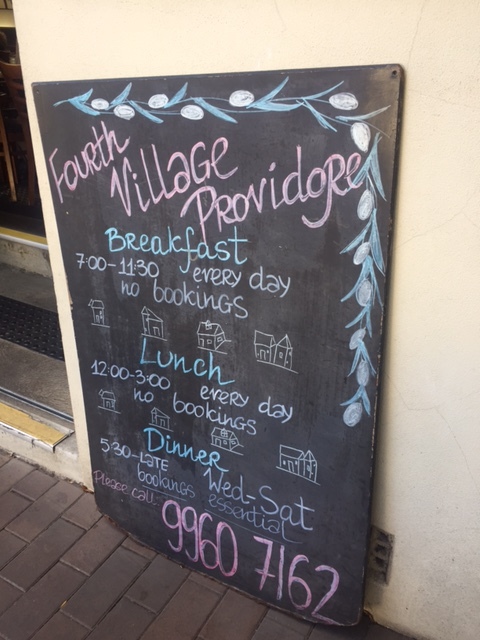 Fourth Village Providore, or ‘Fourth Village’ as it’s known by regulars, is a family owned restaurant and providore. The Quatroville family first won over the hearts and appetites of locals in 2009 and their restaurant and marketplace has been packed ever since. It’s one of those places regulars, like me, want to keep for themselves. The providore is a heaven for home cooks and foodies, with fruits and vegetables from nearby farmers and Italian delights such as handmade pasta, cheeses and cured meats. There’s even olives, olive oil and other produce that comes direct from the Quatroville family farm in the Hunter Valley. Onto the restaurant. 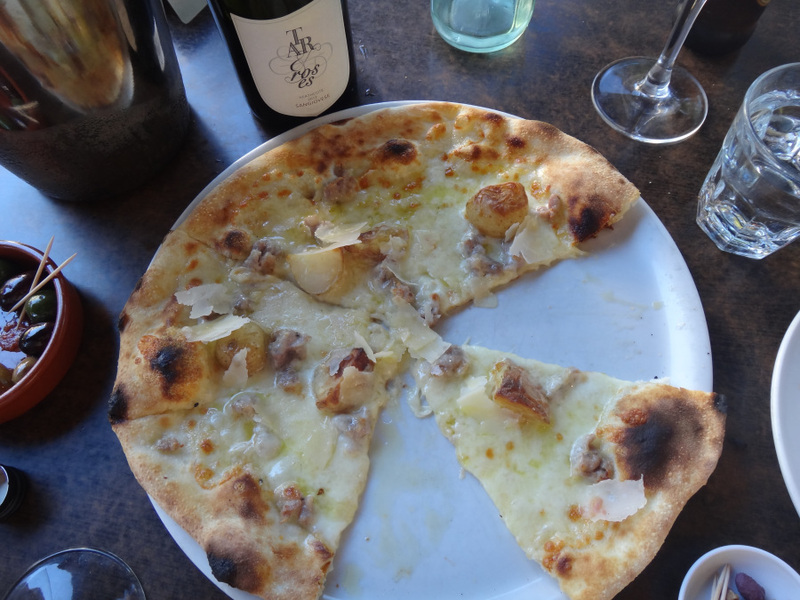 It’s my top pick for Italian feasting in Mosman. It’s always busy and buzzing whether at breakfast, lunch or dinner. 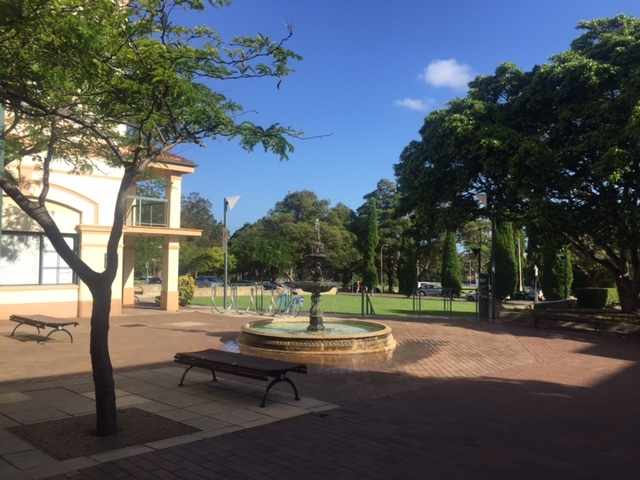 During the Summer there’s nothing better than sitting outdoors overlooking Mosman Square and Village Green; and in the cooler months you can get cosy indoors, perhaps even dining in the providore itself surrounded by fresh produce. The lunch and dinner menu at Fourth Village offers a wide choice of antipasti, pastas, secondi and pizzas. The menu is updated regularly, with a focus seasonal produce, and there’s something on offer for everyone. As a huge pizza fan always drawn to their pizza. 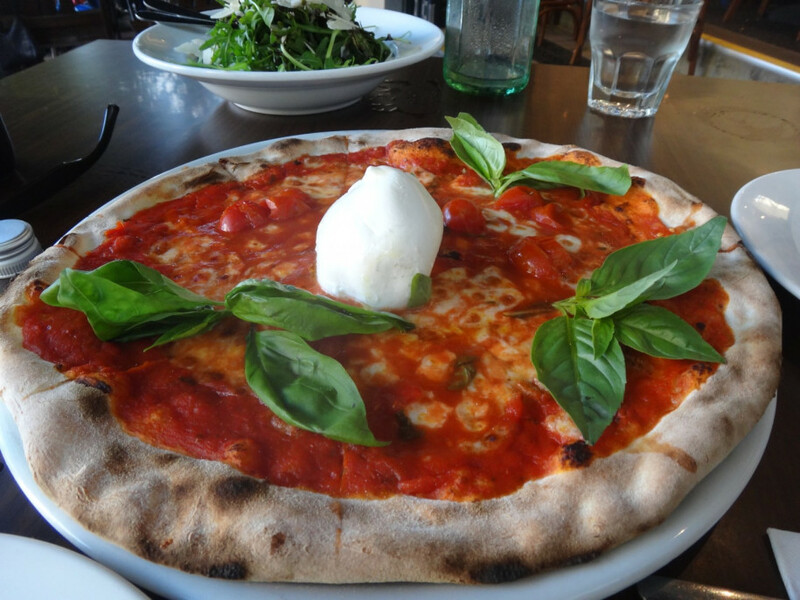 It’s been hailed as one of the top pizzas in Sydney – a title that’s well deserved. With 15-20 pizzas to choose from, across tomato and white bases, you’ll never run out of choices at Fourth Village. Prices range from $19 to $25 and there’s a good selection for vegetarians too. 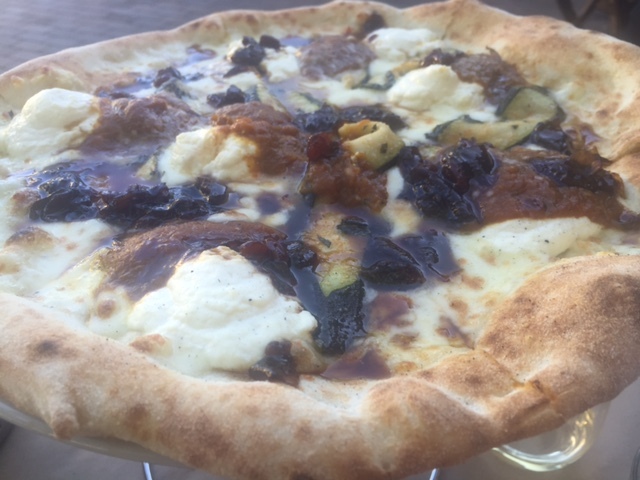 The classic Italian styles are available but many have been given a new twist with toppings such as calamari and mascarpone. 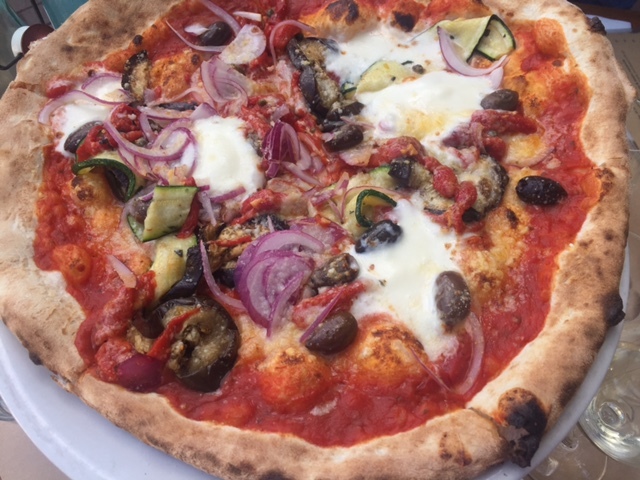 Here are a few of the pizzas I’ve enjoyed on my last few Fourth Village feasts. 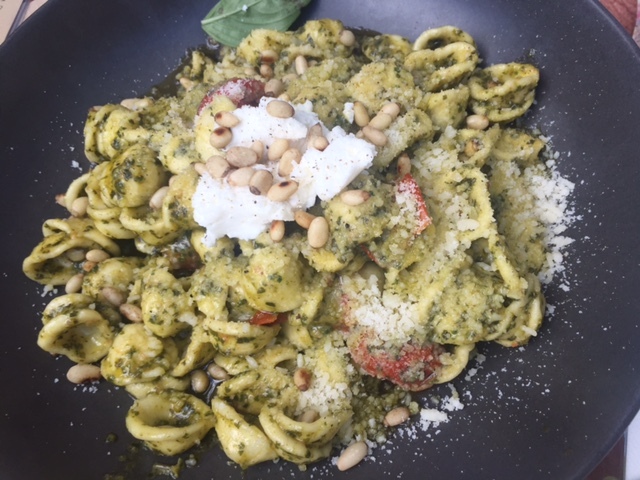 Fourth Village’s pasta is fantastic too and many pasta options, like the tagliatelle and ravioli, are homemade on site. As you’ll see from the orecchiette here the portions are generous too. What else do you need to know? Dessert? Yes, of course they offer tempting Italian desserts. Think affogato, tiramisu and gelato. Child friendly? Another tick. BYO wine? Yep – you’re welcome to bring your own wine for a small corkage charge. If you’re tempted to give Fourth Village a try note that bookings are recommended for dinner (no bookings available at lunch). And if like me you’re a pizza fan and live locally you’ll be pleased to know they offer take-away pizzas for collection. Whether you dine in or take-away I’m sure you’ll agree that their food is delizioso! 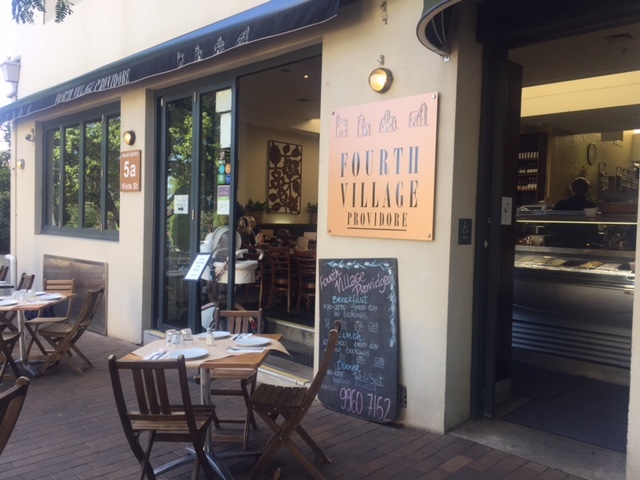 Tags: fourth village providore, mosman, pizza, review. Bookmark the permalink. Oh my, those pizzas had my mouth watering! Thanks Liz – mine too and that’s why I keep going back! Linda – lovely words, thank you! What a wonderful write up. You make me want to visit Sydney just to go there. My pick of the pizzas would have to be La Bufala. Mouth officially watering! 🙂 This place looks amazing!! Thanks Christina – and there’s lots more on the menu that’s as good as the pizzas too! Congrats on your third blog birthday! It’s been great to follow your blog and drool over your photos! Thanks Nell – I can’t believe how three years has passed by so quickly!